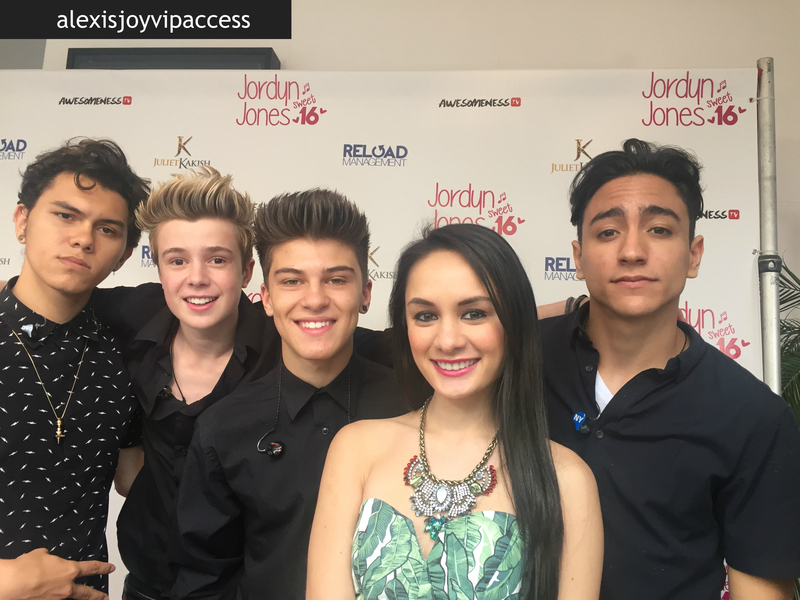 VIPAccessEXCLUSIVE: New District Interview With Alexisjoyvipaccess At Jordyn Jones’ Sweet Sixteen! After hearing their single “Closer” and watching the music video for their song, you will instantly find yourself becoming a Districter (aka a New District fan)! Boy band New District is becoming everyone’s obsession and with their amazing music, their fantastic performances and their excellent covers and YouTube videos, it’s clear to see why everyone loves this phenomenal band! With an upcoming EP set to be released soon, New District has a lot of terrific excitement for all of their fans and we all cannot wait for New District’s spectacular projects they continue to bring out! I, Alexisjoyvipaccess had the greatest time interviewing the wonderful New District at Jordyn Jones’ Sweet Sixteen! New District dished exclusively to Alexisjoyvipaccess all about their upcoming EP that will be released soon, what their favorite song is off of their EP and so much more only in our VIPAccessEXCLUSIVE interview. New District even sent out a magnificent message to all of their fans, hear what they had to say in our VIPAccessEXCLUSIVE interview below! Thanks for the excellent interview, New District! Check out my VIPAccessEXCLUSIVE interview with the extraordinary New District at Jordyn Jones’ Sweet Sixteen below! Previous VIPAccessEXCLUSIVE: Aidan Alexander Updated Interview With Alexisjoyvipaccess At Jordyn Jones’ Sweet Sixteen! Next VIPAccessEXCLUSIVE: Forever In Your Mind Updated Interview With Alexisjoyvipaccess At Jordyn Jones’ Sweet Sixteen!